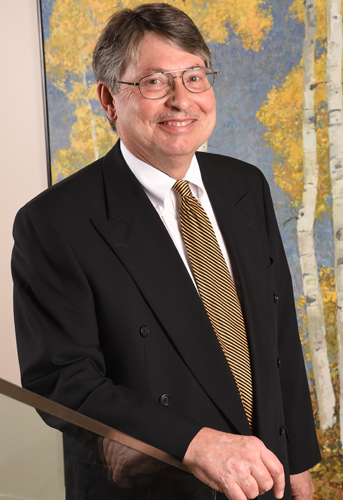 Gerald H. Suniville has over 30 years of experience in bankruptcy, corporate reorganizations, insolvency matters, foreclosures and business and real property litigation. Gerald has represented creditors, trustees, receivers and debtors in matters before bankruptcy courts, U.S. District courts, state courts and the Tenth Circuit Court of Appeals. Gerald has also represented many banking and financial institutions, both local and national, in complex litigation, foreclosure and collections matters. Represented Bankruptcy Court Trustees in Chapter 11 and Chapter 7 cases involving insolvent hotels, farms, ranches, mining, oil and gas, lending and real estate ventures. Represented trustees, lenders and creditors in multiple fraudulent financial schemes and so-called “Ponzi” schemes. Represented multiple national and local banking institutions in complex bankruptcy, foreclosure, collection and litigation matters. Represented state court receivers in insolvent insurance company cases.